Having a few technical problems with posting at the moment, sorry no video links or pictures but hoping this is sorted out soon. Anyway it's the evening after the night before, and what was the only song I could remember from last night's line-up? "I love Belarus, tra la la la la..."
LATVIA: "Angel In Disguise" - Musiqq. This was a pleasant surprise winner of the national final, as everyone expected that "Banjo Laura" nonsense to win - which would really have annoyed me as I hate songs with my name in the title!! This is a very nice, catchy and contemporary pop song (and I'm always looking for them in Eurovision), and it's the kind of thing you'd maybe expect from, say, The Wanted. All good so far, but visually they're just a giant fashion faux pas and will need a serious style makeover in time for Dusseldorf. DENMARK: "New Tomorrow" - A Friend In London. Trying to get 12 points from Royaume-Uni are we??? I wouldn't go as far as to say it's a copy, but it is probably to "Sing For Me" and "Shine" as "We've Got The World Tonight" was to "Fly On The Wings of Love"...if you catch my drift. This band really want to be OneRepublic and the singer really wants to be Ryan Tedder. Their great draw position will get them lots of votes but the lyrics, whilst well-meaning, are maybe a bit too cheesy and cliched. Rewind a couple of months to the Irish national final, if you could call it a final as it was buried away on the Late Late Show on a Friday night as a complete irrelevance. "Am I heading for a car crash?" 'sing' the Grimes twins who are wringing every last drip of every last second of their 15 minutes of fame. Never did so little talent go so far. Worryingly though, this "Womanizer"-influenced track is quite memorable, it's a great draw and Jedward-The-Brand has a strong visual identity so this has a very good chance of making the final. Now it's on to the Big 4, who this year become the Big 5 with the return of Italy to the contest after 14 years. FRANCE: "Sognu" - Amaury Vassili. Well, well, well. You really, really don't know what you're going to get next from France at Eurovision. Last year it was a sun-soaked footy song, this year it's a real proper singer doing a great big proper operatic anthem which will give France its best opportunity in years. If they're going to have opera at ESC this is how it should sound. It will get votes if he gives a very simple performance without any faffing about in the background. ITALY: "Madness of Love" - Raphael Gualazzi. So I nearly jumped out of my seat with excitement on learning that Italy was back at ESC. Italian is such a brilliant musical language that you could sing the Tesco shopping list in Italian and it would sound awesome. Except that "Madness of Love" isn't awesome at all and the fact that half of it is in English is probably one of the biggest disappointments in this year's ESC. On the plus side though this jazzy piano song is certainly different from many of the other entries but what's with the screaming??? UNITED KINGDOM: "I Can" - Blue. GERMANY: "Taken By A Stranger" - Lena. Still not entirely convinced by the wisdom of last year's winner defending her title, as "Satellite" was such a one-off. This is certainly a brave and different choice for Germany this year, a very 'un-Eurovision' song but I can't see it doing so well as it lacks that instant appeal of "Satellite" and maybe needs a few listens. By the way, I played it the other week to faithful travelling companion, who thought it had a little bit of a Diana Vickers vibe to it! SPAIN: "Que Me Quiten Lo Bailao" - Lucia Perez. It means 'They Can't Take The Fun Away From Me' and appropriately it's quite cute and fun, although she could potentially have some vocal wobbles. If she pushes her performance and gives it even more of a fun aspect and party vibe, coupled with the late draw it could get more votes than many Spanish entries of recent years. On the minus side though, it may be a little too old-fashioned for the modern day Eurovision Song Contest. ISRAEL: "Ding Dong" - Dana International A very 'Eurovision' song title, sung by the winner of the 1998 contest - this will certainly get a few votes from those fans with fond memories of how Eurovision used to be. However if the national final version is anything to go by, it's needing a bit of polishing before being let loose in Dusseldorf. SLOVENIA: "No One" - Maja Keuc OK so here we go again, with another pretty girl singing another forgettable (if over-dramatic and very Balkan) ballad: it'll be in English apparently in the final. ROMANIA: "Change" - Hotel FM. One of the first songs selected this year, and one of the few which I'd actually heard in advance of this listening exercise. It starts off like Arvingarna's "Eloise" before going into Take That's "Hello" and then into a very familiar-sounding chorus although someone needs to remind me what it reminds me of (!). It's maybe a bit more old-fashioned than some of the entries on show this year, but I quite like it. ESTONIA: "Rockefeller Street" - Getter Jaani Extremely hotly tipped in some places: and if an Estonian version of Katy Perry's your thing then this will make you very happy indeed. Upbeat catchy girl-pop, but I'd rather have something less derivative and American-sounding from one of the countries which I've always had a soft spot for since they joined the Eurovision family. BELARUS: "I Love Belarus" - Anastasia Vinnikova So on we go to the Belarussian Katy Perry...but there's something appealingly bonkers about this shamelessly nationalistic three minutes...which replaced the equally shamelessly nationalistic and equally bonkers "Born in Belorussia" which was disqualified for being "political"!! "Harry Hill's TV Burp" (ITV) has ended its latest series. I previously said that the shark was circling around the show, but Harry's managed to pull the show to safety in its latest run. Unfortunately the shows he features aren't so great now, but that probably says more about the state of television at the moment than anything else...anyway the last 'fiiiiight!" was a star-studded extravaganza with the return of Wagbo and the Knitted Character. Oh, and Nobby the Lady Gaga-horse just totally cracks me up. "Coronation Street" (ITV) has been going through a bit of a rubbish patch of late. Too many characters I couldn't care less about, too much Steve McDonald and his two facial expressions, and a ridiculous fake-marriage plot involving Graeme, who was one of the best things about this show, and whose character has now gone down the same road as all the other so-called 'men' in the show. Why so many overpowering women and weak men? There have never been so many food-related programmes on TV, and for the total obsessives there's the Good Food channel. Where you can find a nighly feast for the eyes called "Choccywoccydoodah": it's a fly-on-the-wall look at life in the Brighton cake shop of the same name. But these are not just cakes, these are works of art. I totally love this show. I'm not usually too keen on British TV drama these days, but a couple of recent series worth a mention - "Marchlands" (ITV) and "Mad Dogs" (Sky 1). 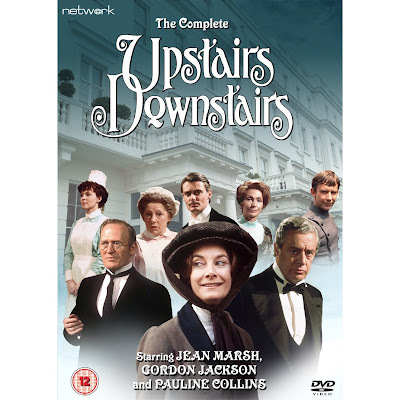 "Marchlands" was a very original mystery thriller, set in one house, occupied by three different families from 1968 to the present day, and how the death of a child in 1968 went on to change the lives of the house's future inhabitants. It could have been a bit shorter though, as at times it was all a bit too slow. "Mad Dogs" meanwhile had a cracking cast - reuniting Life On Mars' John Simm and Philip Glenister in two very different roles, as two of a group of friends who are caught up in a bizarre chain of events whilst on holiday at their friend's villa in Spain. Parts of it were unmissable, but sometimes it drifted aimlessly...and the ending was a bit of a letdown. Still loving "Louie Spence's Showbusiness" (Sky 1): especially the understated Louie himself, Andrew Stone, David 'Rich and Famous' Van Day, and Colin Evans the talent agent....could do without the mega-annoying Tricia Walsh-Smith though. She totally pulls this show down, in the same way she did in "Pineapple Dance Studios". Bring back Black Lad! I've had this post kicking around since the beginning of this year so I thought it was about time it was published. Saturdays back then, as indeed now, meant retail therapy. But on that Saturday I was stuck in the house with a heavy winter cold, curled up on the sofa and feeling sorry for myself. So I switched on the radio, and flicked through the channels. I can't remember the name of the DJ - but a song was played on the radio which was to turn my life upside down. With unparalleled excitement and urgency, brass raged from the radio and a voice proclaimed "Bless my cotton socks, I'm in the news!" In those three minutes, my Saturday afternoon misery vanished. The song was "Reward" by a band called The Teardrop Explodes. I wanted to know more about this band, and to discover more of this music. The DJ mentioned something about a night-time Radio 1 show, and so I began to explore this other world beyond daytime/drivetime radio. Richard Skinner's Evening Session, and the John Peel show, opened up a whole new undiscovered world of music which I devoured with enthusiasm. Every Radio 1 session was eagerly anticipated, and the joy of discovering another new band to add to my collection....well it was just undescribable. I began buying New Musical Express, Sounds and Record Mirror, hoping to discover more information about all the new bands which excited me. But whilst all that was going on, my pop heart was still beating. All through my life I haven't been able to understand musical snobbery. Why can't you like two kinds of music at once? I grew up in a house where all kinds of music were acceptable, and as time went on I was able to love punk and disco and cheesy pop equally. By the end of 1980, the charts were not such an exciting place for me: the ska boom had faded and disco was on its last legs. At that time, my heart and my record player belonged to one man and his band: Adam and the Ants. Laugh if you must, but "Kings of the Wild Frontier" still remains an underrated gem, however everything he did after that just had me cringing with disappointment and we went our separate ways. Magazines like The Face began to hail the New Romantic movement, which I initially resented and couldn't relate to, but the music made a lot more sense: Spandau Ballet, Ultravox, Visage and the new poster boys on this teenage girl's bedroom wall - Duran Duran. Ironically, last Sunday night I watched Duran Duran perform on an ITV 'One Night Only' special and was amazed to see that despite the passing of the years (and the shocking deterioration in John Taylor's looks) they can still cut it. My interest in the band began to wane from "Rio" onwards and by the time of "Wild Boys" I hated them. They came to represent everything I hated about the 1980s, which was personally a very dark decade for me. If you can remember the 80s fondly then (a) you either weren't there, or (b) you were a yuppie. Duran Duran managed to work their way back into my affections in the 1990s and last Sunday night's TV appearance proved that they are still relevant. But back to 1981 and beyond. John Peel's Festive 50 became an annual highlight. In 1981 http://www.bbc.co.uk/radio1/johnpeel/festive50s/1980s/1981/ the chart clearly hadn't let go of the punk hits which had inspired this musical revolution, but for me the real excitement was all about what happened after punk. In 1981, New Order took its first steps, rising from the ashes of Joy Division, and producing music which was way beyond its time. New Order was to become my all-time favourite band in subsequent years. 1981 changed everything for me. My interest in what I suppose you would call 'indie' or 'alternative' music developed from that year and resulted in my discovering music which never in a million years would make the top 40, but which enriched my musical experience in a way which I still fondly remember. BOSNIA & HERZEGOVINA: "Love In Rewind" - Dino Merlin. AUSTRIA: "The Secret Is Love" - Nadine Beiler. NETHERLANDS: "Never Alone" - 3JS. BELGIUM: "With Love Baby" - Witloof Bay. SLOVAKIA: "I'm Still Alive" - TWiiNS. UKRAINE: "Angels" - Mika Newton. 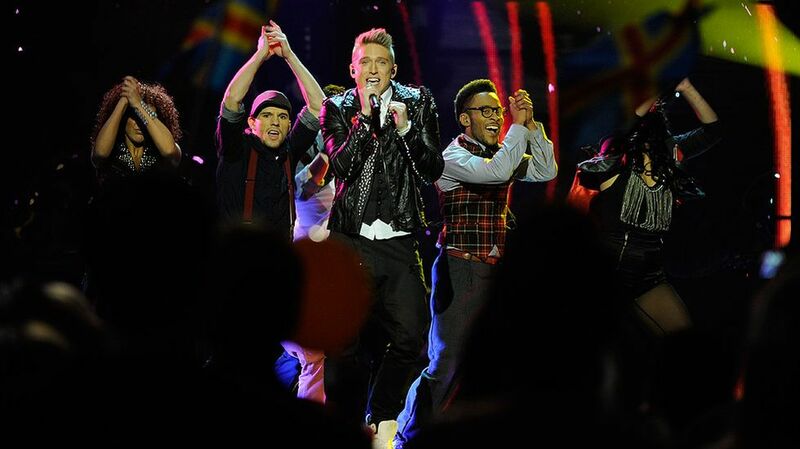 MOLDOVA: "So Lucky" - Zdob zi Zdub. SWEDEN: "Popular" - Eric Saade. CYPRUS: "San Aggelos S'Agapisa" - Christos Mylordos. BULGARIA: "Na Inat" - Poli Genova. FYROM: "Rusinka" - Vlatko Ilievski. GEORGIA: "One More Day" - Eldrine. At this point I'm going off on a tangent, but I just wanted to air my thoughts here - following every semi-final and/or final there's always that tedious old debate about the "Eastern Bloc/diaspora vote" after countries from the eastern half of our continent effortlessly sail through to the final/do pretty well in the final. And do you know why I think they're doing so well now? Because they don't have any preconceived ideas about what the Eurovision Song Contest should be, or what a Eurovision song should sound like. Unlike some more established countries who inevitably will never learn. Rant over. FINLAND: "Da Da Dam" - Paradise Oskar. MALTA: "One Life" - Glen Vella. SAN MARINO: "Stand By" - Senit. CROATIA: "Celebrate" - Daria Kinzer. HUNGARY: "What About My Dreams" - Kati Wolf. PORTUGAL: "A Luta e Alegria" - Homens da Luta. LITHUANIA: "C'est Ma Vie" - Evelina Sasenko. AZERBAIJAN: "Running Scared" - Ell and Nikki. GREECE: "Watch My Dance" - Loukas Giorkas featuring Stereo Mike. "Sor" is the latest track from the Turkish band's fabulous 2010 album "Masumiyetin Ziyan Olmaz" to be released as a single. POLAND: "Jestem" - Magdalena Tul. NORWAY: "Haba Haba" - Stella Mwangi. ALBANIA: "Feel The Passion" - Aurelia Gaçe. With apologies to any Albanian readers out there, but ('Zharr e Ftohte' excepted) I've never felt that Albania has ever really brought anything remotely great to the ESC party. This doesn't convince me otherwise as it's not much of a song, however it could be one of those entries which could be propelled to the final by a big vocal performance. I wish it had remained in Albanian though - why does everyone feel the need to sing in English these days? ARMENIA: "Boom Boom" - Emmy. 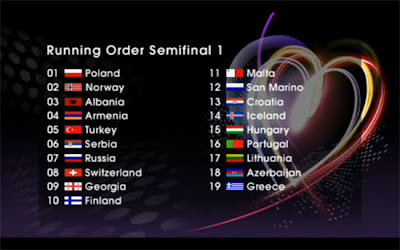 Eurovision 2011: here's the draw. So now all the songs are known, and preview/promo videos are being rolled out at a rate which I frankly can't begin to keep up with (!) At the moment the Russian song's my favourite - a catchy contemporary pop number written by RedOne no less, and sung by a certain favourite singer of one of my favourite bloggers...! Bit of a disappointing draw for the UK, although it's probably better than some of the earlier draw positions of recent years I guess. Anyway it'll probably be at least this weekend before I start listening to all of the songs and their new English-language versions, so thoughts and reviews will follow from then onwards. A hundred thousand reasons to say....thank you!! I'm posting from my sick bed today, as I've got a cold, a very sore throat and sore ears, so this has cheered me up! As if reaching the four-year mark wasn't enough reason to celebrate, now more good news. Last night this blog reached the grand total of 100,000 visitors. I'm pretty overwhelmed by this statistic as you'll probably guess. When I started this blog, I didn't expect that anyone would ever read it, so I'm delighted that so many of you have passed this way, read the posts, left your comments. If you found this blog by chance, then I hope you found what you were looking for and maybe liked what you saw and stayed around for a while. I've said it before, but the best thing about blogging over the past four years has been getting to know so many lovely people out there in blogland. Where I previously felt as if no-one else shared my interests, blogging has made me feel like part of a big happy family. Like all families of course, we don't always agree, or we agree to differ, but it's still great to be part of this community. So thank you all, a hundred thousand times over! Melodifestivalen Final 2011: Vann rätt låt? After the past 5 weeks of anticipation, excitement, drama and disappointment, it was finally time for one of the TV highlights of a Europop-fan's musical year: Sweden's Melodifestivalen final, 2011. Irrespective of how your own favourite song does in the competition, you can't deny that SVT always brings such high production values to this competition, which leaves most other Eurovision national finals standing, or inspires imitation as the sincerest form of flattery (yes I mean you, Norsk MGP!). The 2011 final was no exception, although as the years go on it gets tougher to keep it all fresh. The show began with this year's hosts Marie Serneholt and Rickard Olsson (who I thought did a very good, if unspectacular job this year) on top of Globen, singing a version of "Up Where We Belong" with lyrics in Swedish adapted to the theme of the event. Onwards into a packed Globen, with balloons being waved in the air, and the hosts being lowered on stage to a special MF version of Duck Sauce's "Barbra Streisand" only this time mentioning the hosts' names. I don't think this was such a memorable beginning, and it was equally silly having the dancing chavs in babygro-suits to announce the arrival of the acts. I've seen some criticism on internet message boards of the 'bumbling interrogators' employed by Carl Bildt, he of the wonky jacket, on a mission to restore ESC success to Sweden. However I've grown to accept them and I thought that many of tonight's postcards were rather funny. First on stage: Danny Saucedo. And so what, if "In The Club" just consists of "In the club, the club, oh oh"? This was the song I wanted to represent Sweden in 2011. 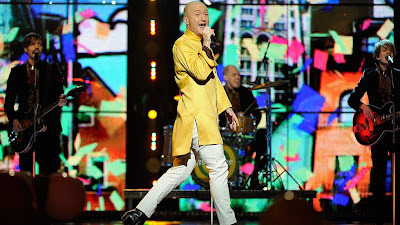 In a Eurovision Song Contest which appears to be finally drifting away from its old schlager roots into something more contemporary, I thought this would have been a good, modern entry for Sweden, with the potential for a wider international success. It was a professional performance from Danny and his backing dance crew, however I still had my reservations about the reliance on pre-recorded backing vocals throughout the song, and how it would go in a 'completely live' setting? Nevertheless it was my favourite of the evening. A complete contrast next, with Sara Varga's "Spring För Livet". This was one of the songs which made it out of last week's Andra Chansen. By the way, I didn't have time to write my Andra Chansen review last week, but if you'd followed my foolish predictions on Twitter on the night you'll know how wrong I got it. I'll reiterate here that the AC format is very frustrating, as it often prevents the 'right' song from qualifying at the expense of the 'wrong' one. 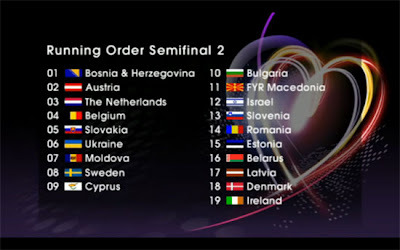 So the top half of the draw last week presented a particularly tough contest, where Sara Varga triumphed over the songs by Jenny Silver, Love Generation and Loreen, all of which would be worthy of a final place. But I'm not really complaining about Sara being there either... This song has certainly had a major impact over the last couple of weeks and it was, I thought, a very emotional performance from Ms Varga. A new feature this year as friends and family of the contestants were interviewed before each performance. So before Brolle (Jr) took to the stage, Brolle (Snr) was interviewed! His son will have done him proud, with yet another powerful and passionate performance of "7Days and 7 Nights". So the song isn't his best - but did he really deserve last place? I doubt if he'll ever compete again in this contest though. From a first-timer to a 'repeat offender': fan fave Linda Bengtzing. I previously said in a blog post that Linda is probably one of the contestants who is the most desperate to win Melodifestivalen. Although I still hated her yellow outfit, her enthusiasm was infectious and she gave a very energetic performance which she seemed happy with. However, I can't see her back at MF in the future, unless she comes to terms with the taking part rather than the winning. I'd reckon that of all the contestants in this year's final, winning probably mattered least of all to Nicke Borg? Nevertheless all the tricks were employed to grab voters' attention in "Leaving Home", including the audience waving glowsticks, Anna Bergendahl-style. As I said in my preview, "Me and My Drum" had grown on me over recent weeks and so I was looking forward to seeing it being performed again in the final. Before the song though, a scene-stealing performance by mini-Swingfly, little Camron, who stole the show when his mother was being interviewed! The performance of "Me and My Drum" was a little messy, but it was three minutes of sheer fun. Whilst most of the contestants are caught up in a tense battle to win - fuelled, it has to be said, by the Swedish print media - Swingfly & co. just went out there and had a good time. Boom chicka boom chicka boom boom boom indeed. It may not have made it to Dusseldorf, but a top 20 place in the EuropeCrazy 2011-50 (only eight months away folks!) is guaranteed. And well done Christoffer - I'd love it if this inspired you to make some new music. Another 'veteran' of Melodifestivalen and a big favourite within the schlager community, Sanna Nielsen, was back in the contest this year with "I'm In Love". Sanna fans, you're probably not going to like this, but I feel she comes over as a bit of a schlager-fembot, lacking in any warmth, whenever I see her on stage. (Which is a bit strange as I've seen her interviewed on other shows and she seems to have quite a good sense of fun). Thankfully she'd ditched the glittery bolero cardigan thingy, but I didn't like her hair at all. She sang very well and was rewarded with top marks from the Ukraine, Greece and Ireland juries putting her in 3rd place by the end of the international jury voting round. A bit of rockabilly next from the Playtones, with yet another song by Fredrik Kempe (co-writer this time) - "The King". A bit of a "Come Together"-plagiat in the verses don't you think? A lively performance culminating in 'great balls of fire' on stage however I missed much of it due to buffering and other things going on. And finally...to the eventual winner, Eric Saade, complete with leather glove. Warning: do not allow this man near glass, for he will probably smash it and then he won't be very 'popular' then, will he? And let's not forget the health and safety implications - Eric got glass in his eye. Although "Manboy" was a bit silly, it eventually wore me down. "Popular" is also extremely silly, and I don't like it. Stupid lyrics and a little bit too much desperation from young Mr Saade, whose urge to win the contest was clear for all to see. Maybe with all this 'Bieber fever' inexplicably sweeping the universe, it might be a good move for Sweden to send a young man who will clearly appeal to that similar target audience? I'm trying to find something positive to say here, but it's very difficult. The problem mainly lies with the songwriter Fredrik Kempe. Although admittedly he's had some good songs in MF too - notably "Cara Mia" and "Hope And Glory". Three of the last four Swedish entries have now been written by Mr Kempe, and he also wrote last year's Norwegian entry. None of these songs went on to have much success in the Eurovision Song Contest, so who can blame me for suggesting that "Popular" would be the wrong choice for Sweden? Following the recent tradition of re-interpretations of the previous year's winning song, it was the turn of rock band Dynazty to give their version of "This Is My Life". It was an achievement for them to rescue this song from the pit of dreariness and turn it into a more acceptable 80s anthemic rock ballad. The other interval act was a tribute to the much-criticised "Hurricane" character played by Peter Stormare who could not be at the final due to other commitments. The "Harrycanes" Nanne, Lena Ph, Ola Salo and Christer Sjögren, all of whom had been subject to the Hurricane's musical makeovers during the competition, came together to sing what else but the Scorpions' classic "Rock You Like A Hurricane". Sjögren sings the Scorpions - well well well, in the immortal words of the Harry Hill song, "I certainly didn't expect to see that!" ....which seemed to destroy my theory that Danny would do better in Europe, based on these jury results, however by the end of the jury voting Eric was only 2 points in front of Danny. At this point Eric was in the lead though, so I'll acknowledge he's probably a more representative winner than Anna Bergendahl was, for example. By the way, hasn't she changed?? Her look is now spiky-bob-goth =). Next came the televoting results, which resulted in The Moniker and Sanna swapping places, ending 3rd and 4th respectively - and when Danny got the 70 points it was all over. 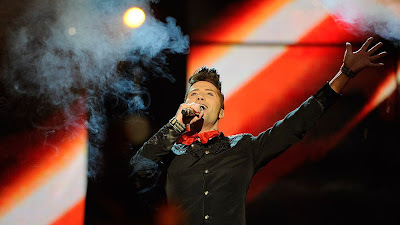 112 points from the televote added to the jury points meant that Eric's song title lived up to its name and his was the most "Popular" song of the night. Well, with the voters anyway. Above: the winning singer and songwriter celebrate. Danny was gracious in defeat. 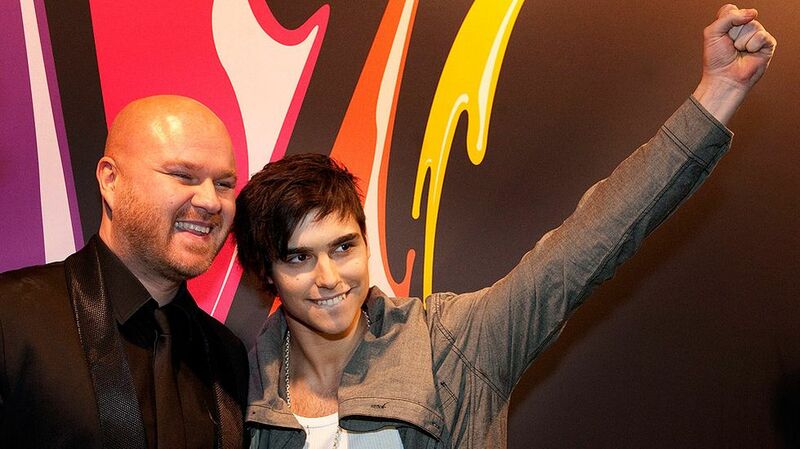 He told Svenska Dagbladet: "Eric is a worthy winner. I wish him every success in Europe...I have been doing my thing and not had to make compromises. I feel satisfied, I made probably the best performance I've done in my life." Please come back again to MF Danny...and win it next time! Tomorrow, Friday 11th March, will be the 4th birthday of this blog - wow it seems no time since I was just celebrating its 3rd anniversary! - anyway it's been a great 4 years so far. Thanks again to all of you out there who make my blogging adventures such a special and rewarding experience. Anyway I'm planning some special posts for this weekend, so expect these late Saturday night and on Sunday, as I won't be around here before then. Of course it's a weekend full of special things ahead - apart from this blog's birthday, there's the final of Melodifestivalen on Saturday night so you can expect a review of that later, and I'll probably be chatting over at Twitter at some point too! Whilst the result of Melodifestivalen appears to be a foregone conclusion, well, depending what website you read of course (!) there is one ingredient which could throw the whole thing into complete disarray: the replacement of the Swedish city juries by an expanded group of international juries. There will still be the televote of course, which, as recent history has shown, has a habit of overthrowing a potentially decent result (IMHO). Exhibit A: 2009. Exhibit B: 2010. But I digress. I'm not predicting anything - got it so wrong last week that I'm getting exhausted even thinking about it. You know who I want to win (although I even have reservations about him now because of the whole taped backing vocals thing, etc etc) but do you know something? The one song from the final which I've probably listened to more and more over recent weeks is not really a favourite with anyone, it doesn't have a fanbase (and since I'm usually the kiss of death to any song which I like, it'll probably finish 6th or 7th), but boom chicky boom chicky boom boom boom....I love "Me and My Drum"! It's sooooo catchy!! 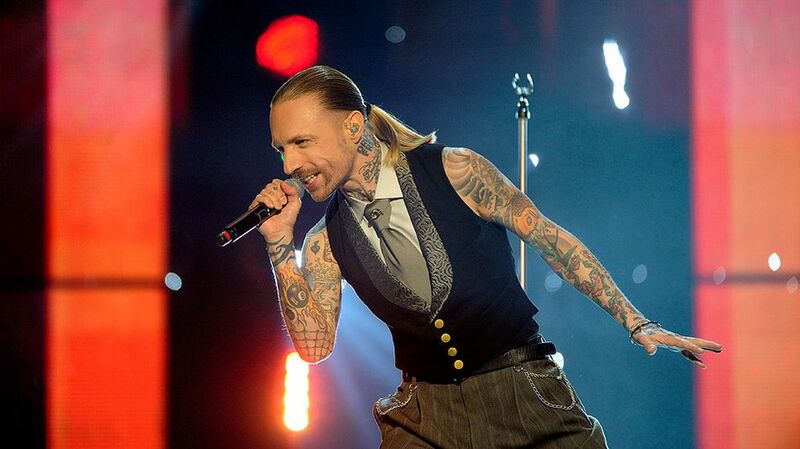 So if Danny doesn't win, I'd be very happy with Swingfly and my lovely Christoffer going to Dusseldorf. Everything else is a bit 'meh' at the moment for me...you could call it 'meh'lodifestivalen (groan) anyway I'll be back here on Saturday, no doubt to rant and rave. Yes I know it's late but better late than never. Unfortunately there is still very little in the way of new music to get excited about. I'll just have to get out there and start digging a bit deeper eh! Me and My Drum - Swingfly: this has probably grown on me more than any other of this year's Melodifestivalen songs. I know a lot of MF fans don't like it, but it's sooooo catchy and Christoffer Hiding's singing the chorus. What's not to love? Like Suicide: Christian Walz: sadly, like many other MF favourites of mine this year, it didn't progress beyond its first heat. No One Else Could - Sebastian. Uptempo Killers-style number which I like a lot. Sadly, the Swedish voters didn't. Roll on the new album! Idiot - Lena Philipsson: a fine return to form with this cool dance track. She was great on Melodifestivalen a couple of weeks ago, and I'm looking forward to her new album. Seven Seconds - Ovi: rediscovered Norsk MGP gem from a couple of years ago, from the man who was 'Playing With Fire' in Romania last year. Traktor - Wretch 32: a rarity here - a dubstep/grime type track which I like, for some inexplicable reason. I wish there was more of the middle part of the song on it though, as that's great. We R Who We R - Ke$ha: yeah I know, I really shouldn't but this is the latest theme song for Friday nights at EuropeCrazy HQ! Me and My Microphone - September: Now when is this going to conquer the charts all over Europe like the international hit it deserves to be? Split My Personality (Bassflow Remix) - Salem Al Fakir: Yes I'm still playing this....along with all his other stuff too. No change there then. Hot Mess - Chromeo featuring La Roux: Who'd have thought the day would come that La Roux would figure in this playlist?? But when it's Chromeo on a return to form, then that's ok. Unfortunately their other recent material has been very disappointing though. MGP 2011 Medley - Alexander Stenerud & Guri Schanke: go and check this brilliant interval act number, over on YouTube. It's wonderful. Come back to MGP next year Alexander, we've missed you. Rock Dust Light Star/Smoke and Mirrors - Jamiroquai: Probably my two favourite tracks from what's been (by their standards) a slightly disappointing album. Or maybe it's just taking longer to grow on me than usual? Lilla Lady/Gryningspyromanen - Daniel Adams-Ray: Still loving his album and I don't think I'll ever get sick of it! Return of the Mack - Mark Morrison: yeah, scoff if you like, but I'm having a revival of this song. Again! Unfortunately Mr Morrison became more famous for his criminal record than his musical ones, but this is a true classic. Once upon a time a man took over as manager of a once successful Premiership side, whose glory days were behind them as they sat mid-table. Efforts were made to change the style of play, with new players being brought in, but it still wasn't enough. The fans were left with the final say in picking the team...and made many a wrong choice, resulting in the team plummeting into the relegation zone. Things hit an all-time low last year: the wrong striker was selected and completely misfired, condemning the side to relegation. One year on, the manager is under attack from all sides. What does he do? Does he stick with the old formation which used to win trophies many years ago, but no-one likes that style of play anymore? Does he try a more modern style which might work in qualifying for Europe at risk of alienating the home fans? Does he bring in that big-name international striker or stick with the home-grown cult figures who would sink without a trace the minute they went abroad to play? It's tough, yes. Especially when the fans have such a big say in picking the team. Especially when everyone - whether you're a casual fan or a season ticket holder fan, a blogger or a journalist - has an opinion about it. The manager's the one who always gets the criticism. I've never been his biggest fan, but he's tried to drag that team kicking and screaming into the 21st century: he got them playing in huge stadiums in front of massive crowds, and even turned a one-night-only fixture into a six week tournament. He tried to attract big names to his team only for them to be condemned to the subs' bench forever....and most of them would never want to play for that team again. In two months' time, the team will take to the field to play one, possibly two matches. If they win the first match, they'll win promotion again to the Premiership and will qualify for Europe...whereas if they lose, it's another season in the lower league. 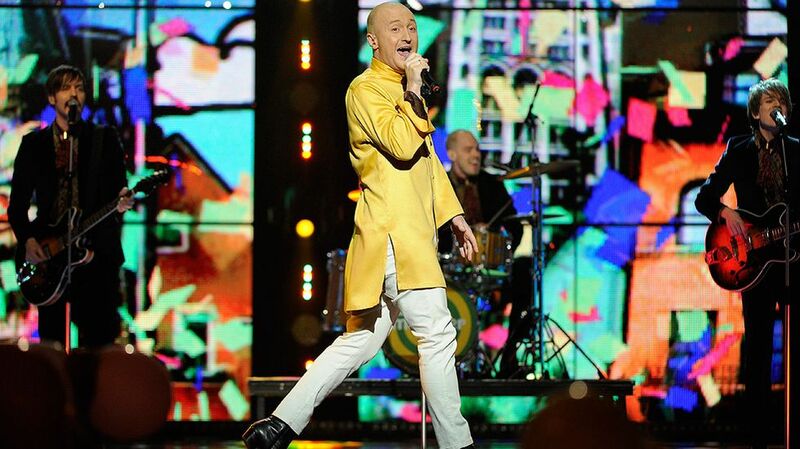 Eurovision may be moving on and modernising, but Sweden is in danger of getting left behind in the same way that the United Kingdom has, due to backward thinking about 'what constitutes a Eurovision song'. We are left with two songs: the first in the running order "In The Club" and the last in the running order, "Popular". One is a catchy (if repetitive) and contemporary song, sung by a good singer and dancer, the other is a deeply irritating, old-fashioned, Fredrik Kempe-by-numbers 'here's what a Eurovision song should sound like' song, and that's just the song....don't even start me on the stupid breaking glass gimmick. Don't get me wrong, I like young Eric - he's cute and makes a good boy-pop star, and he's a pretty good performer too. He just deserves a more modern song, rather than a more 'Modern Talking' song. Again, don't get me wrong, I have fond memories of Modern Talking, as should every devoted fan of 80s Europop, but this is 2011 and that sound just isn't working in Europe anymore. SEND DANNY SAUCEDO TO DUSSELDORF! It's box set and retro telly mania at EuropeCrazy these days. I'm continuing to wallow in the emotional rollercoaster that is "ONE TREE HILL" and I'm now on season 6, having spent the best part of the last few months having watched the series from the very beginning. By this stage the main characters are now all grown up, but it still remains a very watchable and addictive (and hugely underrated) show. I've still to catch up with season 7, although I'm not sure how it would go with the absence of two major characters who've been a part of the show since the very beginning. 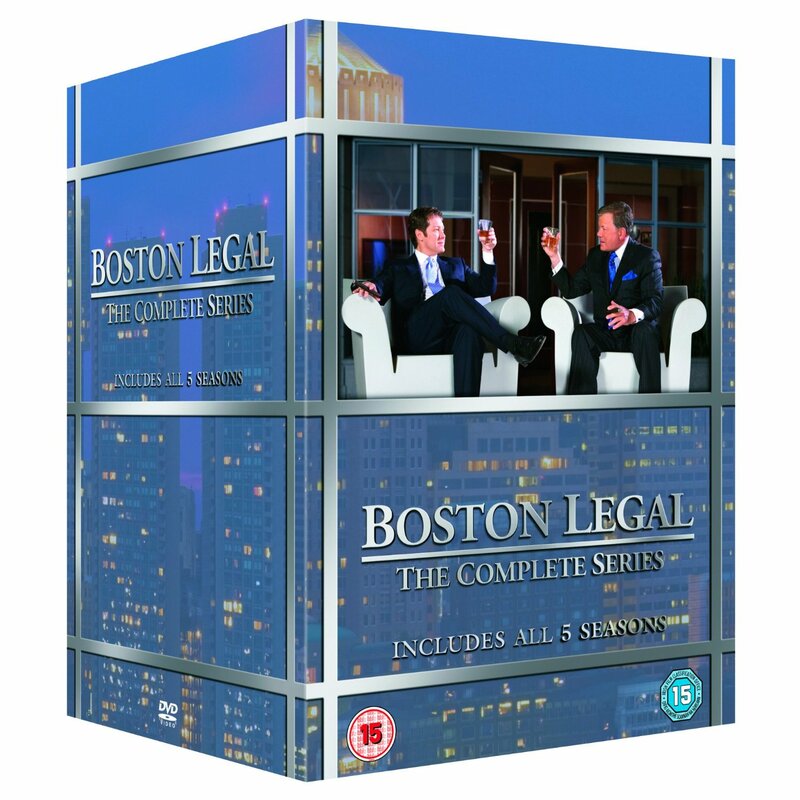 Talking of underrated shows, I reckon that "BOSTON LEGAL" was probably one of the best and most underrated shows of recent years. Stuck away over on Living, it never grabbed any of the headlines, but if you were lucky enough to be a regular viewer then you'll agree with me that it was consistently watchable, and James Spader and William Shatner are one of the best on-screen partnerships ever. 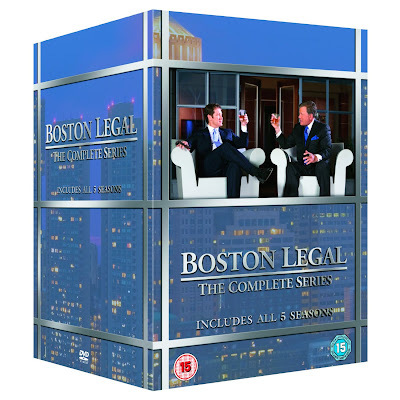 Recently HMV had the complete series box set on special offer, which was good timing as I had some Christmas present money to spend so needless to say I bought it! Just finished season 1 which was great, but of course it got even better as the series went on. Going further back in time with another box set which was inspired by a recent TV revival over Christmas - I refer to "UPSTAIRS DOWNSTAIRS" and the original complete series which ran from 1971 to 1975 has now been reissued and repackaged. I remember being a big fan of the series even as a very young child so it's very nice to see it all over again, all these years later. So we're watching all this old telly, but what's new? I started watching another new Sky Atlantic series, "BLUE BLOODS". No it's not about vampires and not to be confused with True Blood, but it's all about a family of police officers. It started off well enough, there's a good cast including Tom Selleck and Donnie Wahlberg, however due to other stuff I've missed a couple of episodes lately so will need to get back on board. The other good thing about Sky Atlantic is its repeats - some really good stuff in there including different series of the always wonderful "ER". Then there is the rerun of that long-lost 80s guilty pleasure = "THIRTYSOMETHING" sorry that should be "thirtysomething" which inspired all those ensemble dramas including "Cold Feet". It looks horribly dated and 'of its time', a decade which I hated for a number of reasons, but I loved that show all the same. At the time I was in love with Michael, and my favourite character was Melissa because she was so cool and unconventional. Ah, memories...! Will modern TV stand the test of time? Will we look back at reruns of "GREY'S ANATOMY" in 20 years time and think....flippin' eck, that Meredith talks a load of pretentious garbage in those little voiceovers, doesn't she? I think the answer's yes to that one. Despite that though I remain a fervent viewer of this addictive and nonsensical drama. Cage off Ally McBeal (remember that?) is now in the cast and it'll be interesting to see what happens with his character. At least they don't spend so time with the Meredith/McDreamy on-again off-again back on-again saga now, which previously had me passing the McSickbucket. Then there are TV fads, which inevitably crash and burn. It seems no time since "GLEE" arrived on our screens. It was a fresh and exciting TV format (well, for everyone too young to remember the kids from Fame) with a sharp and funny script. OK I could have done without the horrible, plastic, sanitised versions of songs which at one point threatened to take over the top 40. Fast forward to series 2 and what have you got? Unnecessary theme weeks, worse songs, stupid plotlines (that 'Grilled Cheesus' story was the worst thing I've seen on TV in years) and a little moral lesson learned every week. Then I learned there was going to be a Bieber week. Ugh. Only Sue Sylvester is stopping me reaching for the remote, and even she's not in it enough. Another piece of unmissable viewing is "FASHION POLICE" on E! Entertainment every week, with the magnificent Joan Rivers who tells it like it is, rating the fashions of the A-listers (and Z-listers, come to that). I guarantee that at least a couple of times every week you'll find yourself thinking: "Oh my God! I can't believe she just said that!" It's throwaway nonsense but sometimes that's all you need.